The poster announced the annual Herman Miller employee Christmas party. 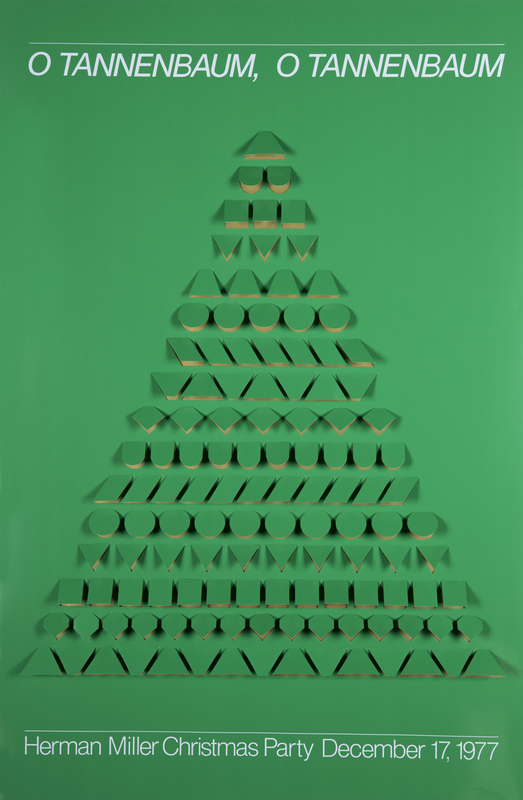 The theme for the year was a German Christmas, thus the Christmas tree with rows of die cut ornaments. When folded out, the tree is 3-dimensional, and colered foil paper attached to the back side can be seen. Techniques Screen printed, one color plus diecut and score. Ornaments were folded out by hand and colored foil paper was attached to the back side of the posters.